If you don't see a module in our list, we will design it for you. If we feel that your module has a popular use, it will be added to our module library and there will be no extra charge for it. If the module you want is unique to your site, we will quote you a charge for custom work. Hosting is currently part of the service plan for all Slab sites. Our service plan includes regular updates & improvements, and access to customer service via phone or email. If you want to license our system, we can arrange that for you for a fee. If you get a warning during initial check, you can either hit "connect" or "save this certificate." The certificate is valid, but a warning sometimes shows up. QUOTA: The mailboxes have 2GB of disk space in the Inbox of your mailbox. If you need more space, let us know. We may need to upgrade your mailbox format to avoid slowness. If not, you can either set your mail program to remove msgs periodically, or you can go in through WebMail and move/delete msgs from the Inbox. If you go over quota, incoming msgs will be bounced. PASSWORD: The password can be reset through the WebMail interface. 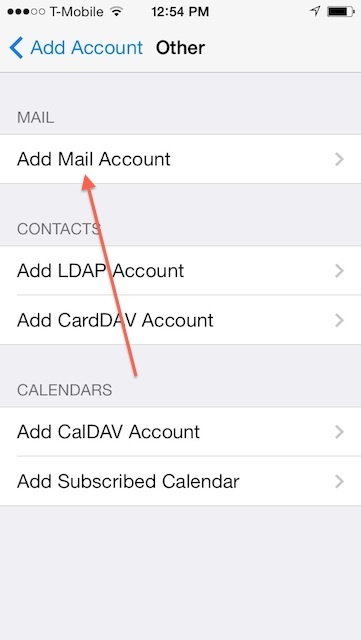 1) On your iOS device, go to “Settings”—> “Mail, Contacts, Calendars”. 2) In the “Accounts” section, click “Add Account”. 5) Click “Add Mail Account”. 6) In “Name” type your name, in “Email” type your full email address, in the password field type your email password, and in “Description” type your name. Click "Next". 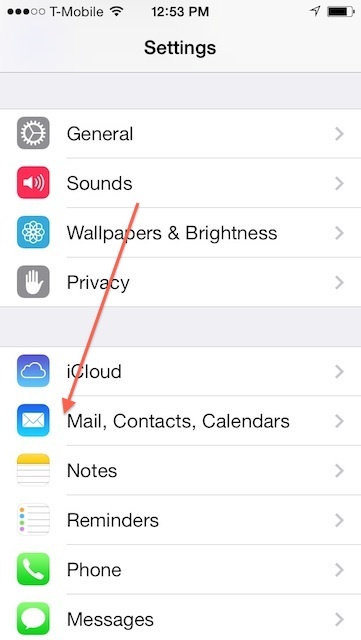 7) On the next screen, make sure “IMAP” at the top is blue. 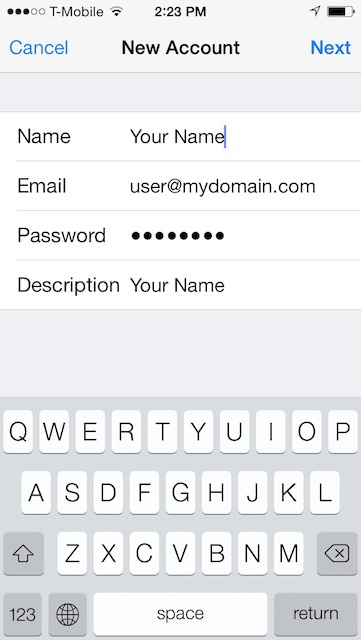 Enter the values as listed below, substituting your email address for "user@mydomain.com". 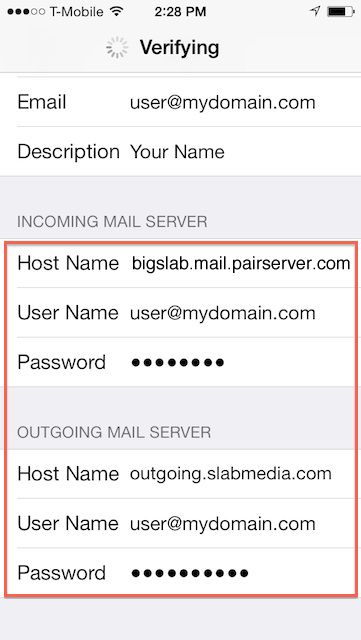 Incoming mail server should be bigslab.mail.pairserver.com, and the username would be babar@squash.org. It is important that your outgoing mail server (also known as an SMTP server) be outgoing.slabmedia.com! Your username and password are the same as those you entered for the incoming mail server. When complete, press "Next" to proceed. 8) At this time, if you encounter an SSL related prompt, click “Continue”. The account may take a moment to verify. 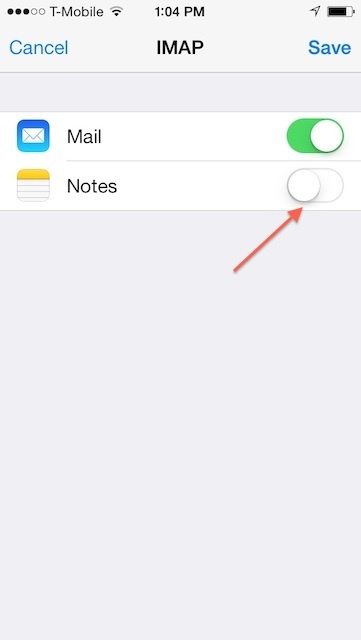 9) On the next screen, turn off “Notes” and press “Save”. 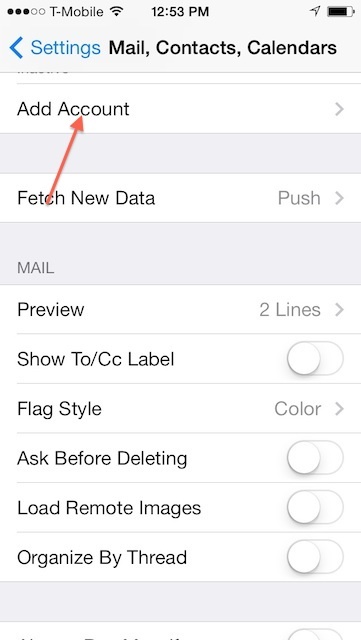 Your email account should be viewable in Apple’s iPhone Mail.app now! Please give the device a minute or two to sync your data. How do I check my mail using WebMail? You can login to mail.pair.com with your email address and password. 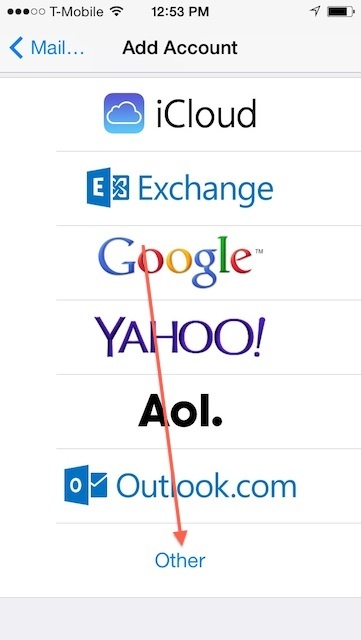 Each email account has access to WebMail. To create a new message, click "compose." Your IMAP folders are listed on the left, to view a message, just click on it. You will see options to reply, delete, forward, etc, just like any mail application. I am using IMAP to check my mail, how do I archive messages off the server? The IMAP protocol for checking mail was created to all multiple devices to check the same mail spool. This method leaves all messages received or moved to folders to remain on the server. At some point the you will run into quota issues. Here is a link to Apple's article on how to download messages to your computer and to delete them from the server. In the menubar, Go to Mailbox > New Mailbox and create a new mailbox called my_IMAP_archive - or something you want to hold your off-line mail. Make sure it is inside of the "On My Mac" folder in the pull down menu. Give it a name like "Archive IMAP Mail"
Using the pull down menus, set up the rule to say that if Date Received is More Than 30 days old, Move it to my_IMAP_archive (or whatever you named it). Save and apply - and you are done. Mail will check to see if there are messages on the server that are more than 30 days old, and pull them down for offline viewing. This prevents your inbox from becoming huge and un-checkable.